Used Honda Accord Review - 2008-2015 | What Car? 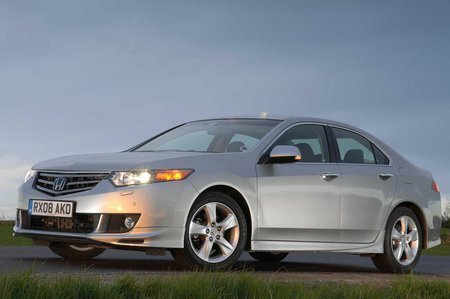 What's the used Honda Accord saloon like? Despite looking like the previous Accord, this model is classed as an all-new car. In reality, it's an evolution of the older design, improving on the car's already capable performance. It's designed with the business user in mind. It's refined on the motorway, with virtually no wind- and road noise penetrating the cabin. There's plenty of leg- and headroom for three in the back, while those in the front won't go short on space, either. The downside is the modest-sized boot. Honda has a good reputation for reliability and the Accord lives up to it.